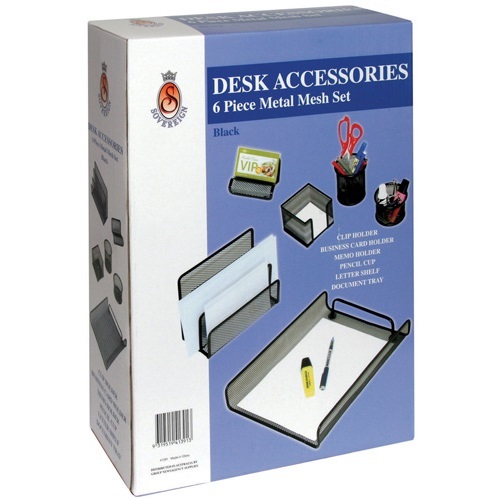 The perfect 'starter kit' to organise your desktop documents, pens, pencils and small items. Contemporary mesh design will enhance any work environment. Each set contains an A4 document tray, vertical letter holder, business card holder, memo holder, paper clip holder and a pencil cup. 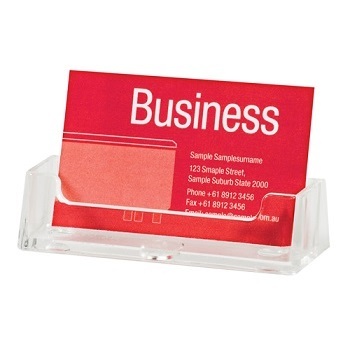 Quality Horizontal Single Pocket Business Card Holder. Moulded for strength and durability. Ideal for reception desks, trade shows and retail. 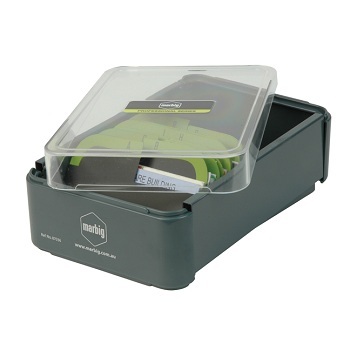 The perfect space-efficient solution to display your business cards. 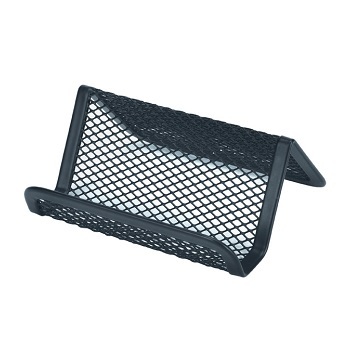 Sturdy Black steel mesh construction. 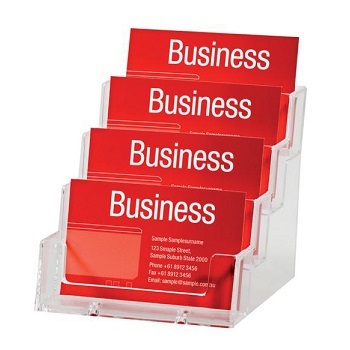 Quality Vertical Single Pocket Business Card Holder. 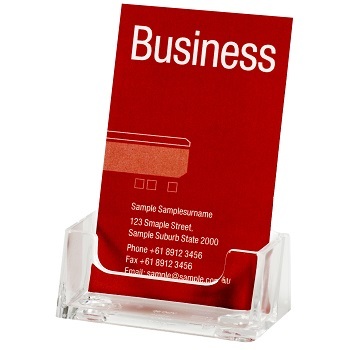 Quality Freestanding 4 Pocket Tier Business Card Holder. Keep contacts at your fingertips. Box come complete with plastic A-Z index dividers. Front and rear panels fold down for easy access to cards. Box base made from metal. Clear plastic lid enables you to see your cards. The original... just turn the rotary wheel to view your business cards! 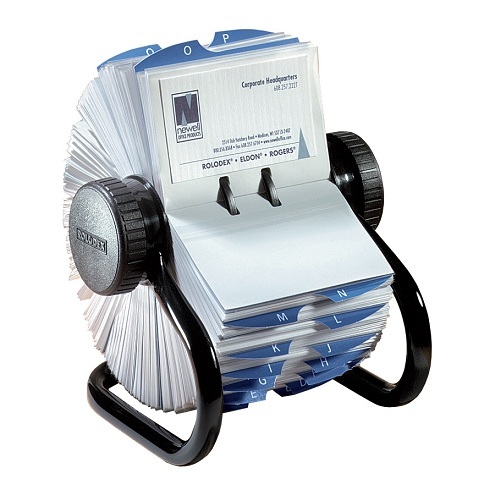 Rotary business card file easily organises and protects your business cards. 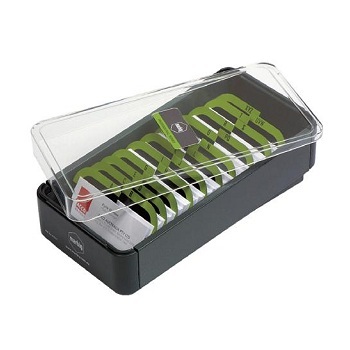 Simply slide business cards into double transparent sleeves to keep cards clean and in one space. Rotary File with 200 sleeves. Includes 24 A-Z index tabs for quick access. 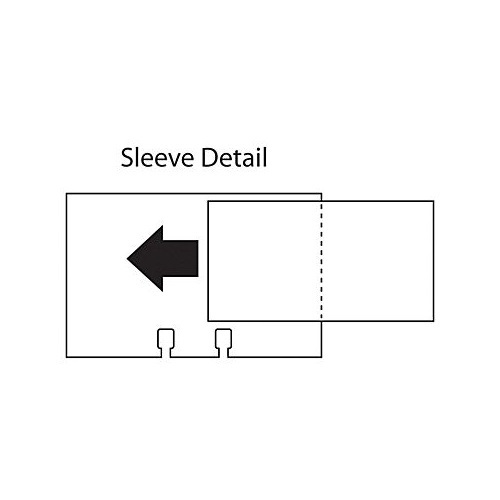 Pack of 40 refill sleeves sold separately (SOP67691).